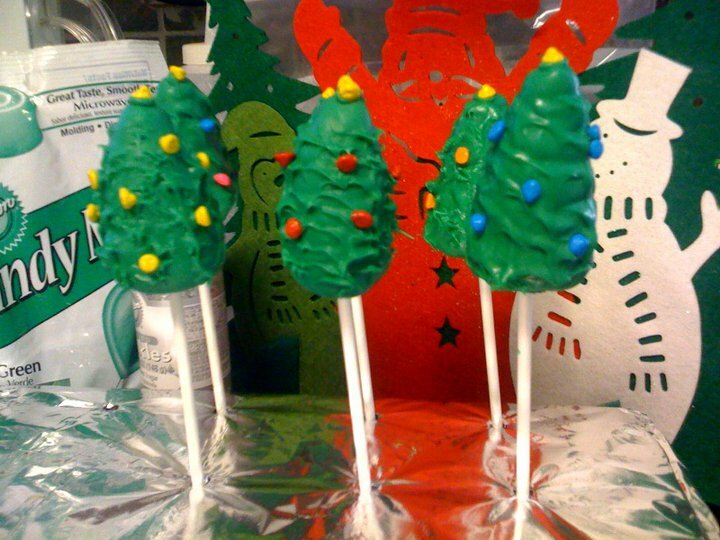 christmas tree pops & cookies! I love christmas!! I love the holidays! 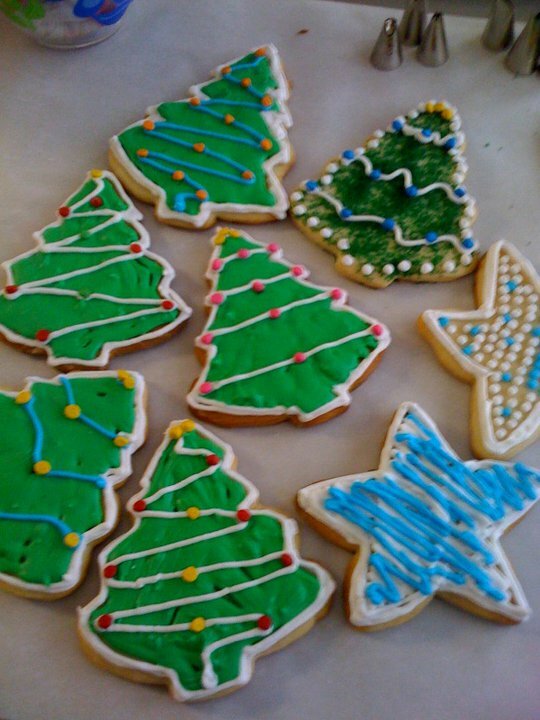 I love christmas trees and holiday desserts! I saw bakerella’s christmas reindeer, hats, & tree blog entry and decided to make some trees too! I used some extra red velvet cake and mixed in some cream cheese frosting, then molded them into little cone shapes. Dip them in chocolate melts (heated at 30 sec intervals), and used a toothpick to make them look a little more “tree-like.” The little ornaments are candy coated chocolates. 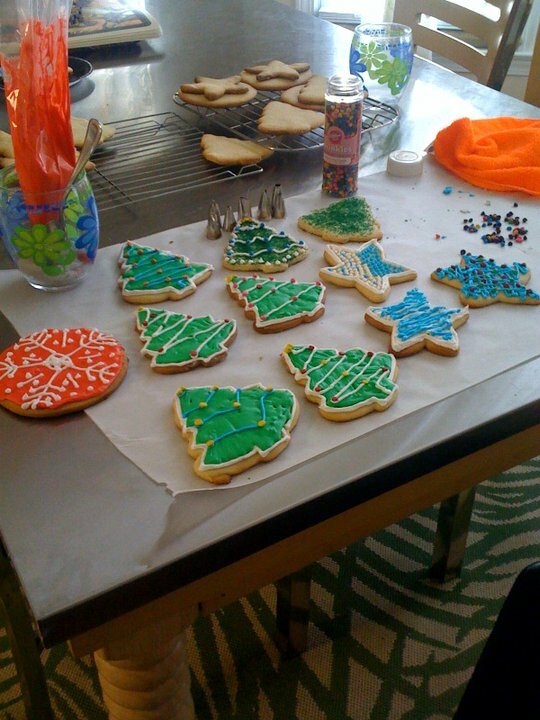 Holiday sugar cookies!! They turned out pretty cute! I really don’t like making cookies, specially out of scratch, but I wanted to try and decorate some since I had the cutters. I used a basic sugar cookie roll out recipe that required for the batter to sit in the fridge so they’re easier to handle. I left them in there overnight and they were definitely easier to cut out (with the help of a lot of flour). When they were cooling, I made some royal icing and used sprinkles to decorate them.